Professor John Mearsheimer is subject to a Zionist-trans-Atlantic-attack for supporting my latest book The Wandering Who. It seems as if the Zio-cons on both sides of the pond are now in a state of panic -- In an obviously orchestrated attack, the Zionist mouthpiece The Jewish Chronicle of London, the Islamophobic Award winning ‘Harry’s Place’ and the ex-Israeli concentration camp guard Jeffrey Goldberg* , all launched a typical Hasbara smear & intimidation campaign, in which they labeled both Professor Mearsheimer and myself anti Semites. I was also called a ‘neo Nazi’, a ‘Hitler apologist,’ a ‘Holocaust denier’ and a ‘hatemonger’. To be honest, it is somewhat amusing that an ex concentration camp guard like Goldberg should label me a ‘Hitler apologist’ or a ‘Holocaust denier’: after all, since Goldberg is an ardent pro-war Zionist who openly and enthusiastically supports a Jews-only, racist, expansionist state, it is clear that he is actually the one who is an advocate of a distinctly Nazi-like ideology and practice. In addition, I learned from Goldberg that Adam Holland (yet another notorious Zionist zealot), also cannot quite believe that Professor’ Mearsheimer would endorse my book. What is clear to the rest of us is that our Zionist detractors are fighting a lost battle. I really wonder what they hope to achieve: after all, those who have taken the time to actually read my work know very well that there is no hatred, no anti Semitism, and no racism in my entire body of work. Instead, I believe that truth is a dynamic process -- I believe in the power of reason and in free debate. 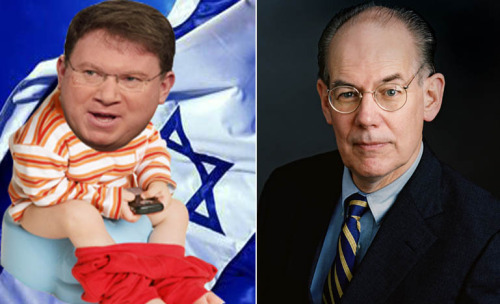 If Jeffrey Goldberg has any dignity left at all, then he should start again -- He should apologise to Professor Mearsheimer, myself, the Palestinians, and to humanity. He would do better to also try to present an argument, and if he actually has anything to say, he would be best advised to then learn how to argue and encounter in debate. 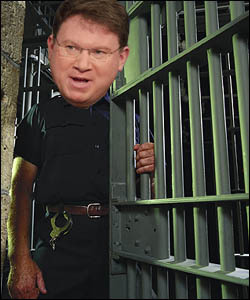 * In the light of Goldberg’s smears on both myself and Professor Mearsheimer, it is worth bearing in mind that Jeffrey Goldberg decided to make Aliya when he was eighteen: he left America for Israel, joined the IDF and served as a prison guard in an Israeli concentration camp during the First Intifada.